Please support our Hole Sponsors. You can call this sponsor at 434-848-2222. Click on any picture for a larger view. 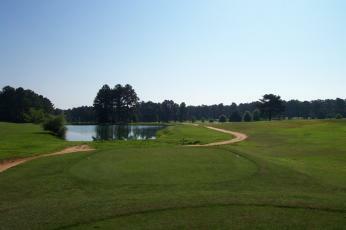 Hole #10 is a beautiful, over the pond, 489-yard Par 5 with a dogleg to the left. It offers a panoramic view of several holes while challenging you to take the shortcut across the pond. Many balls end up living with the turtles here after not having enough aero-dynamics to extend their flight to its desired landing area. Be sure to stay right of the big vertical pipe as it marks the out of bounds area located on the left. Your second shot could be as short as 175 yards to the green, or it could be 230+ yards, depending on how your drive turned out. Your approach to the green is level and open except for the sand trap located on the right. The Lake Gaston Golf Club offers some of the finest golf recreation in Southside Virginia. Located 17 miles from both I-95 and I-85 in Gasburg Virginia, the course offers an exceptional variety of holes that include wide open fairways, to challenging narrow �chutes�, to spectacular plateaus overlooking beautiful crystal clear lakes and ponds. 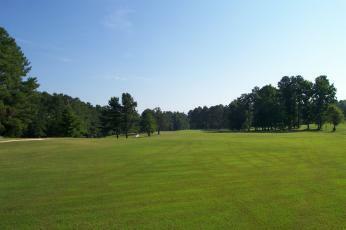 Lake Gaston Golf Club also offers a driving range as well as a wide range of items in the Pro Shop. Special golf packages that include green fees and cart rental are available daily. Tee times are required on weekends and recommended during the week. 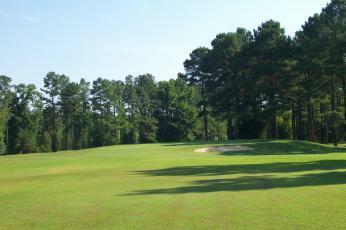 Visit us at the Lake Gaston Golf Club in Gasburg, Virginia! and have fun all year long! Copyright © 2019 Lake Gaston Golf Club. All rights reserved. Website Functionality provided by OMNI International Services, Inc.